If you’re not getting enough fiber on the keto diet, you could experience unwanted side effects. With the growing popularity of the keto diet, it’s important to understand how to get enough fiber on keto. That means that sometimes there are complications due to lack of fiber while following the diet. That doesn’t mean that it isn’t extremely beneficial for some, showing real results, but ensuring that the body is kept healthy should be the number one goal. Click here for 8 high fiber, diabetic-friendly recipes. A keto diet is a diet that is low in carbs which allows the body to more effectively burn fat. It’s called keto because of the different things going on in the body. First of all the body produces ketones which can be used as energy when there is low blood sugar. These are produced when very few carbs are eaten and are produced from the liver. 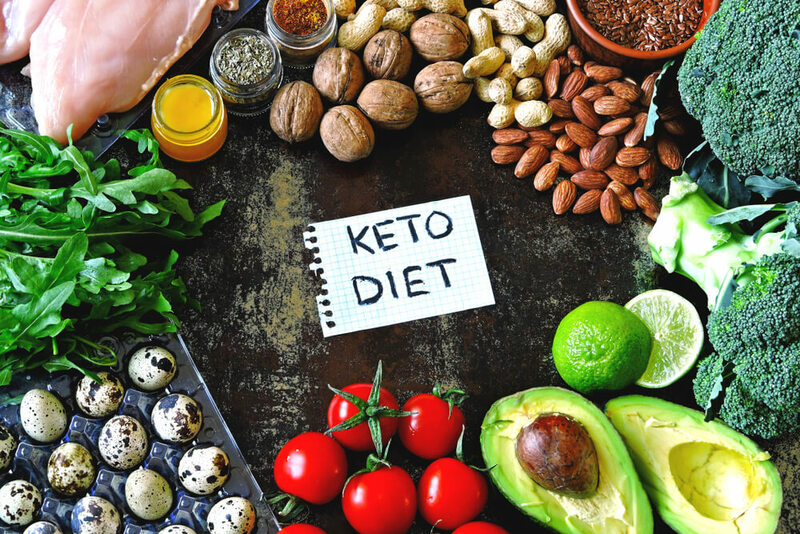 When the body is following a keto diet it changes to mostly run on fat allowing the body to produce ketones, burn fat, and enter a state of ketosis. As stated above, there are many benefits to the keto diet but it’s also important to understand that there is a need for fiber on keto. If the body isn’t receiving the fiber it needs, digestion issues can arise. Without enough fiber, plant foods such as stems, seeds, nuts and grains can be difficult to digest causing issues in the long run. Continue reading to learn about why fiber on keto is necessary, keto fiber supplements and what you can do to make sure you are getting the fiber that you need while on the keto diet. While following the keto diet, it is normal to consume around 80 percent of calories just from fat, followed by a bit of carbohydrates a day. This can mean that when the keto diet is not planned well, fiber deficits can occur. Your body uses fiber to not only feed the good bacteria but also aids in bowel movements. Constipation is a common side effect of the keto diet. Lack of fiber has also been linked to diverticulitis which is a serious health condition. This happens when small diverticula form in the digestive track and become infected or inflamed. The reason that diverticulitis is brought up is because often, those on the keto diet eat a lot of meat. Those who already have the condition should be warned that following the keto diet can lead to inflammations of the condition, causing a lot of pain. Adding fiber to your keto diet doesn’t mean that big changes need to be made, just make sure that every day fiber is added in to keep the body running as it should. If you have any specific questions or concerns about the keto diet, speak to a medical professional to ensure that what you’re doing is right for your body.